Thanks for linking to the Waterfall Ranch history page. 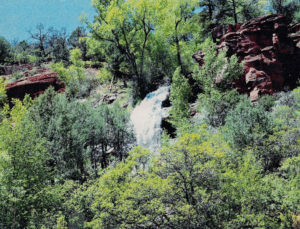 And once they settled in the Animas Valley, on the ranch underneath the beautiful waterfall, how did they survive? What troubles befell them? What victories did they claim? How did the Zink clan remain and thrive at Waterfall Ranch for a century? The Zink line, from Gottlieb to James W.